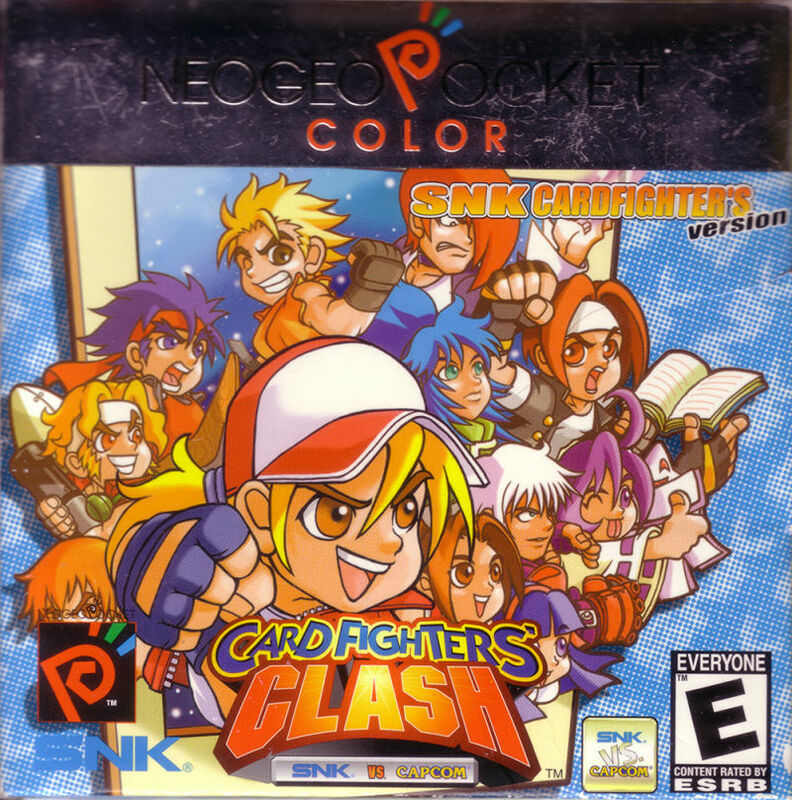 SNK vs Capcom: Card Fighter's Clash was one of two products developed by SNK for the Neo Geo Pocket Color that made use of their joint license with Capcom to use each other's characters in Vs. series games. The other game is SNK vs. Capcom: Match of the Millennium. Alternatively, Capcom made a series of fighting games for the Sega Dreamcast and the Arcade under the general title of Capcom Vs. SNK. (The company that developed each particular game put their name first.) Due to the Pocket's ability to link with the Dreamcast, Card Fighter Clash could link with Capcom Vs. SNK and be used to unlock some of the bonus features hidden in the Dreamcast version, just as Match of the Millennium could. But Card Fighters Clash was a distinctly different game from any collaborative effort between the two companies, whose fighting legacy went all the way back to Street Fighter II and Fatal Fury. Card Fighters Clash was a turn based card battle game which used popular characters from both universes, even characters not found in fighting games, as the basis for a set of cards the players would duel with in a Yu-Gi-Oh, Pokémon TCG, or Magic the Gathering fashion. The game employed an extremely simple and approachable duel system that was easy to learn and addictive to play. SNK took a note from Nintendo's book and developed not one, but two flavors of this game, an SNK version and a Capcom version. Like the Pokémon games, each version contained a particular set of cards that could only be obtained by playing that specific version. Therefore, the only way to collect the entire set of 300 cards was the trade with another player who obtained the unique cards missing from your version. In fact, two cards are only accessible (although very randomly,) by defeating a human opponent in linked combat. The game was a profound success for the otherwise often overlooked NGPC handheld system. The game spawned a sequel which added more cards, and ironically was released in only one flavor and therefore contained the means to obtain just about every card in the game without trading. Despite the first game's success in America, the second game was never officially translated in to English since NGPC sales were very poor in the states, and SNK was about to be purchased by a Pachinko company at the time. An old (2001) fan-made translation only partially translated the sequel enough to make it playable by English speakers. In 2008, a fully-playable version of SvC CFC2 English was released to finally bring the game to the English audience. It can be found at the "CFC2English" blog. SNK has released a third game in the series for Nintendo DS, entitled SNK vs. Capcom Card Fighters DS. This page was last edited on 17 April 2016, at 18:45.